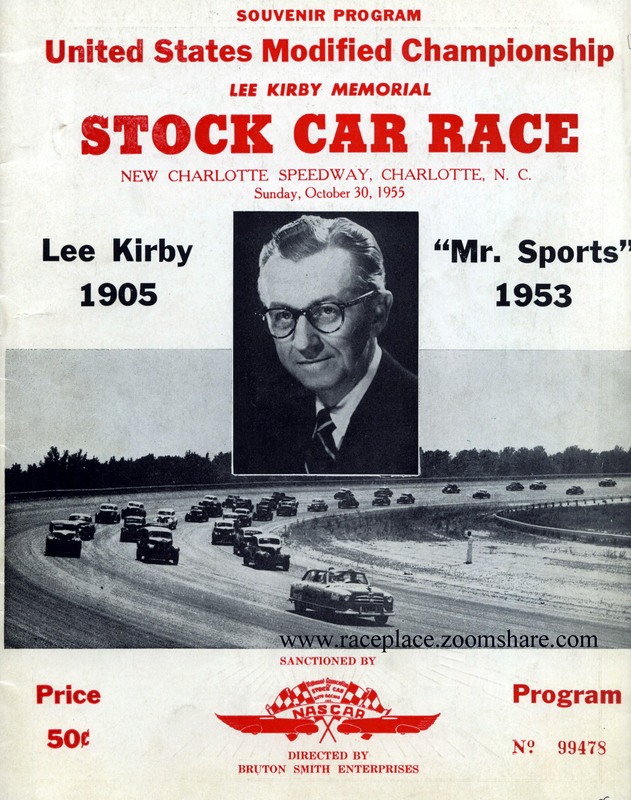 Lee Kirby was a sportscaster and although I am not personally familiar with him, the 44th and final race of the 1959 NASCAR Grand National season was a memorial race for Lee. The race would be 300 laps/150 miles on a half-mile dirt track in Concord, NC. Even then, Bruton Smith was promoting races in that area as he was the promoter for this event. Thirty-four cars showed up to race and starting positions were determing by the drivers drawing for positions. Fred Harb drew pole position where he would start his 1957 Ford. 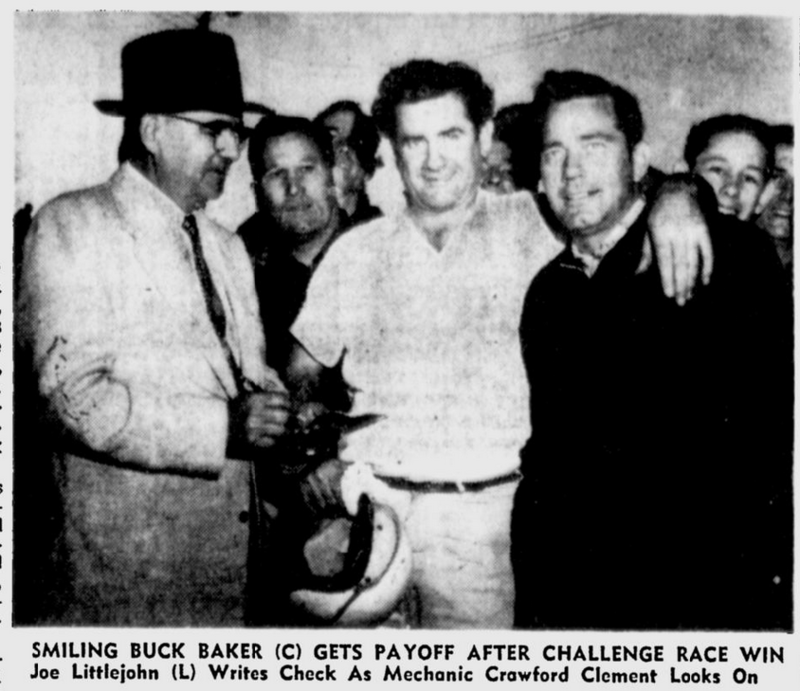 Second went to Cotton Owens in the Thunder Chicken T-Bird, third to Buck Baker in a Chevrolet, fourth to Bill Morton in a Ford and fifth to Rex White in a Ford. Cotton Owens put the Thunder Chicken (I love typing that) in the lead on lap one and he would stay right there, clucking along, until lap 90 when Jack Smith would slip past and lead the rest of the way to take the win.Owens was forced to park the Thunder Chicken on lap 111 when a water hose burst overheating the Chicken. 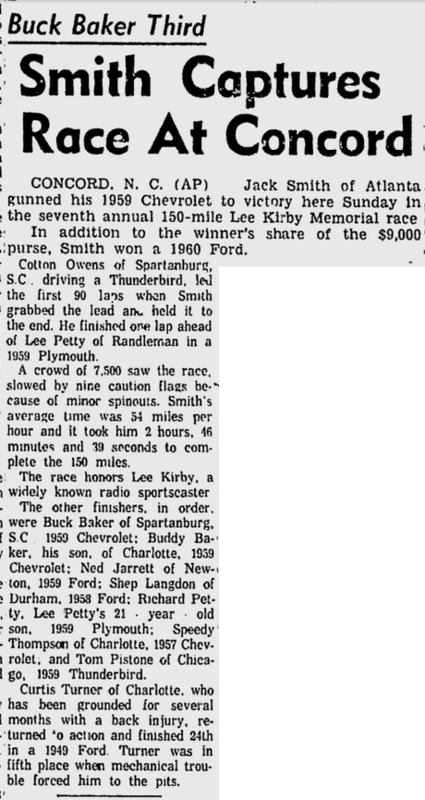 Bruton Smith offered Jack either $1,500.00 or a brand new 1960 Ford as top prize. Jack chose the Ford and was presented the keys to the car by Janice Smith. daughter of Lee Kirby. Lee Petty would finish second and he would win his third and final Grand National title with total winnings for the year of $49.219.15 and total points of 11,792 to second place finisher Cotton Owen's 9,962 points and total season winnings of $14,639.35. Quite a bit of difference in dollar amounts back then over what it is today. Buddy Baker finished fourth in this race and it was noted that it was his best performance to date although he was nine laps off the pace. Buddy did not get his career off to a sterling start but did make up for it in later years. It should also be noted that Curtis Turner had returned to driving after undergoing back surgery. He drew 22nd starting spot and had moved up to fifth place by lap 150 when on lap 159 transmission failure forced his Ford out of the race. The race was originally scheduled for Saturday, October 24th but was rained out. But the weather cleared, and the race was run on Sunday. Many have been critical of Cup regulars dropping back to the truck and the Nationwide err Busch ... I mean Grand National...um the LMS divisions to pick up a quick win and easy check. But the poaching by drivers such as Kyle Busch, Brad Keselowski, Joey Logano, Carl Edwards, etc. is certainly nothing really all that new. 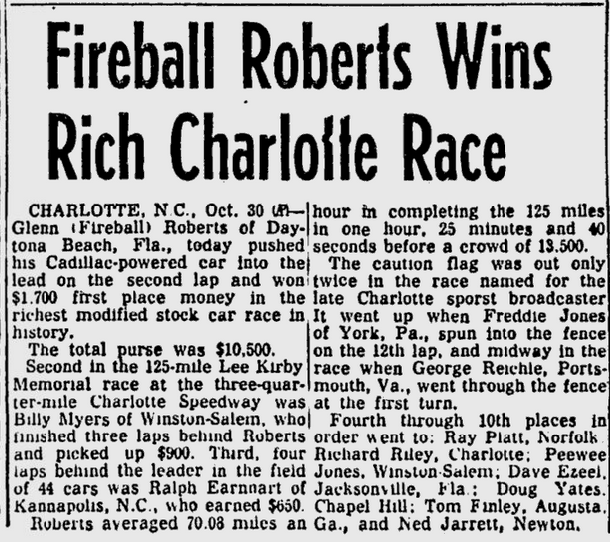 The night before the October 1959 GN race at Charlotte some of the GN regulars made the run down to Piedmont Interstate Fairgrounds Speedway in Spartanburg SC. 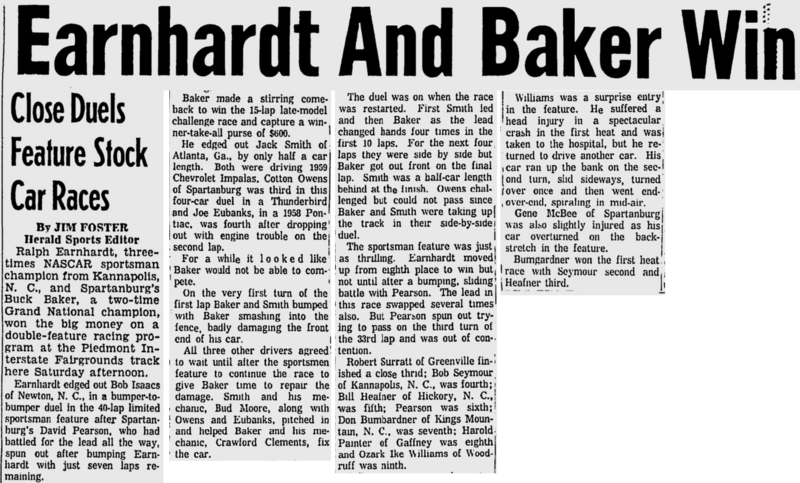 GN regulars such as 2x GN champion Buck Baker and the Sunday GN race winner Jack Smith ran some local races with many of the up-and-comer good ol' boys such as David Pearson, "Bob Isaacs", and Ralph Earnhardt. Hats off to Ozark Ike Williams for (1) having the best name in the field and (2) exhibiting what it means to "play hurt". 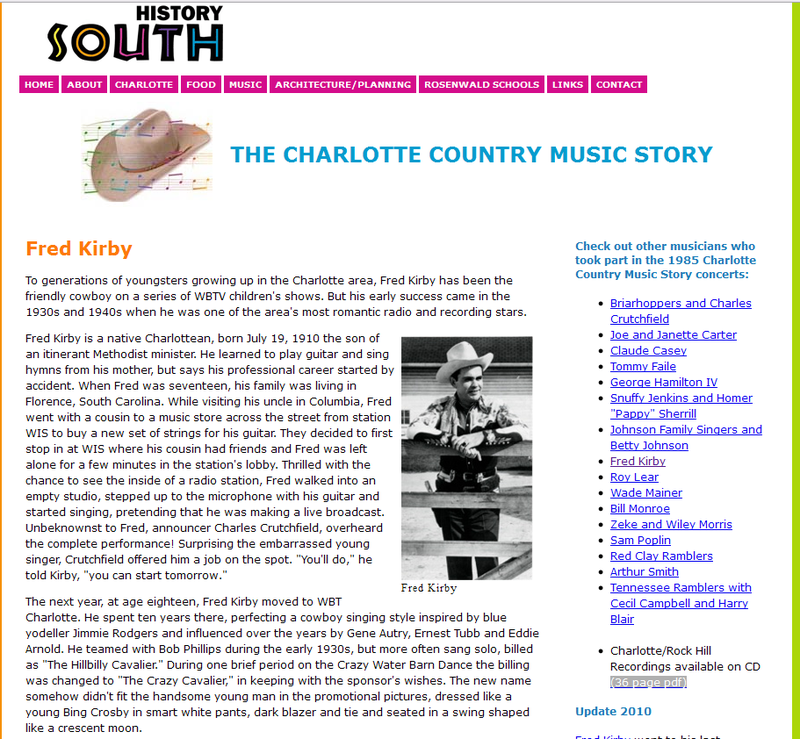 As of November 1951, Lee Kirby appears to have been alive. 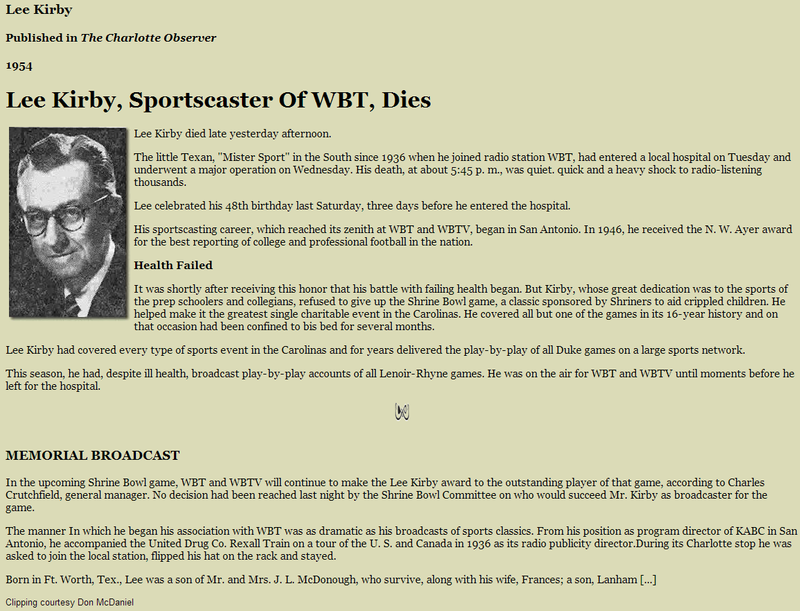 Looks like he was a long-time broadcaster for a NC vs. SC high school all-star Shrine Bowl football game. For his commitment, an award was to be given in his honor. He apparently passed away sometime in late 1953 or early 1954. 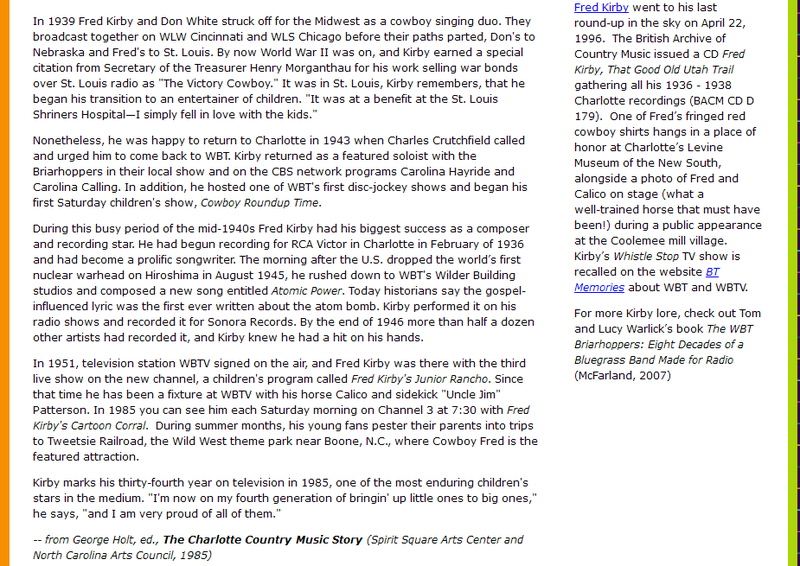 An award was then referenced as the Lee Kirby MEMORIAL award. 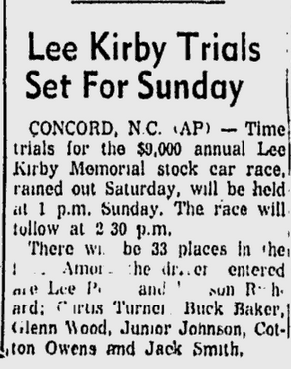 The 1959 race wasn't the first time an event at Concord Speedway was titled in Kirby's memory. 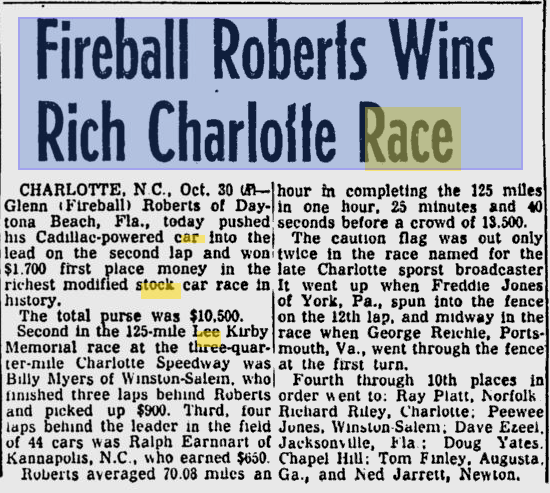 I found this article from 1955 referencing a Fireball Roberts victory in a modified race titled the Lee Kirby Memorial. Program from 1955 Lee Kirby Memorial US Modified Championship Race. This was a Bruton Smith promotion.